Thank you Debenhams for sponsoring this recipe! 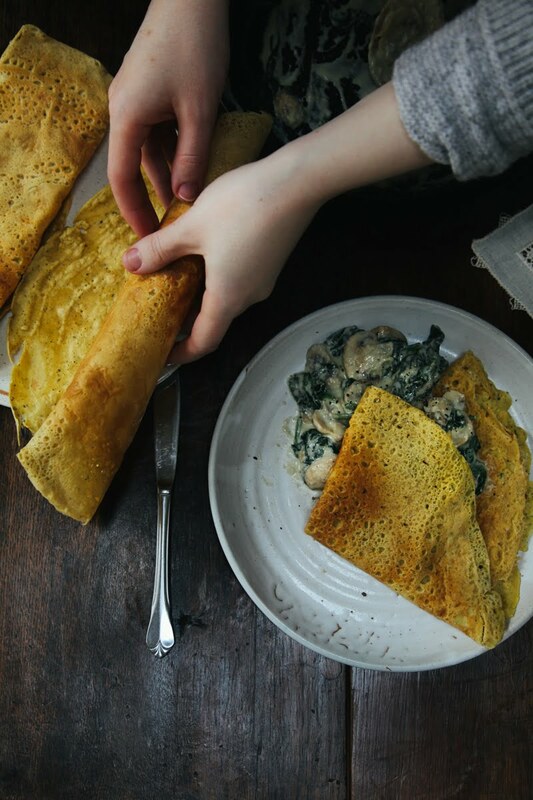 Since I already have a sweet pancake recipe, I thought I would try a savoury option this pancake day: with these delicious, healthy chickpea flour crepes. 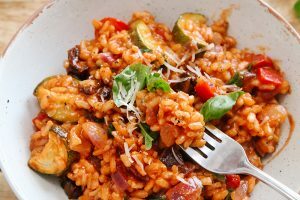 I often start these posts with “this is my new favourite recipe” and I always intend to make these recipes over and over again but often that doesn’t happen – I tend to always prefer experimenting with new recipes. However, a select few really do become recipes I make all the time, and these savoury chickpea pancakes are now one of them! 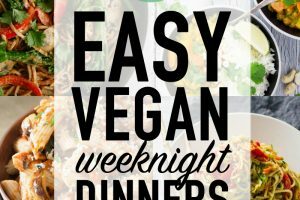 I think that’s because this recipe is so easy, so delicious, healthy and can be mixed up with different flavours so it doesn’t get boring. Plus, they’re naturally gluten-free, grain-free, vegan and lower in carbs, making them suitable for a wide range of diets. The fact that Debenhams sent me a crepe maker to cook them makes it all the more easy for me to enjoy them every morning. They’ve also provided one to giveaway to one of you guys so scroll down to enter now! 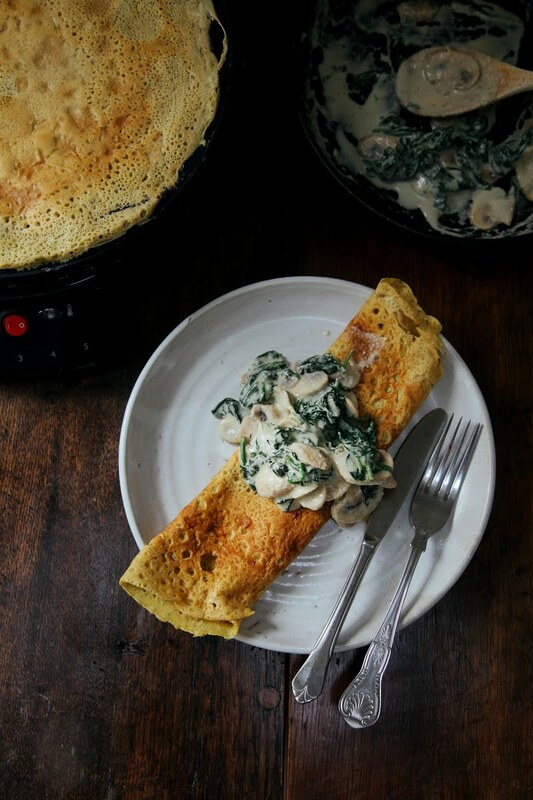 In this recipe, I’m serving the crepes with creamy mushrooms and spinach which is my most favourite way to serve them so far. But really they go with anything, so feel free to switch it up. I use a crepe-maker but you can absolutely make these with a frying pan too, I will cover that more in the recipe instructions below. But if you like the sound of a crepe-maker, then you’re in luck because Debenhams have offered one as part of a giveaway (scroll down to enter!) I’ve always wanted to own of these and Breville’s crepe maker has not disappointed me. Easy to use, easy to clean and makes the most perfect, professional-looking crepes. A delicious, healthy, gluten-free, low carb, high protein and vegan breakfast! In a medium bowl, mix together the chickpea flour and water. Don't worry if the mixture is a bit lumpy or thin. Stir in the rest of the ingredients and leave to sit for 10 minutes. 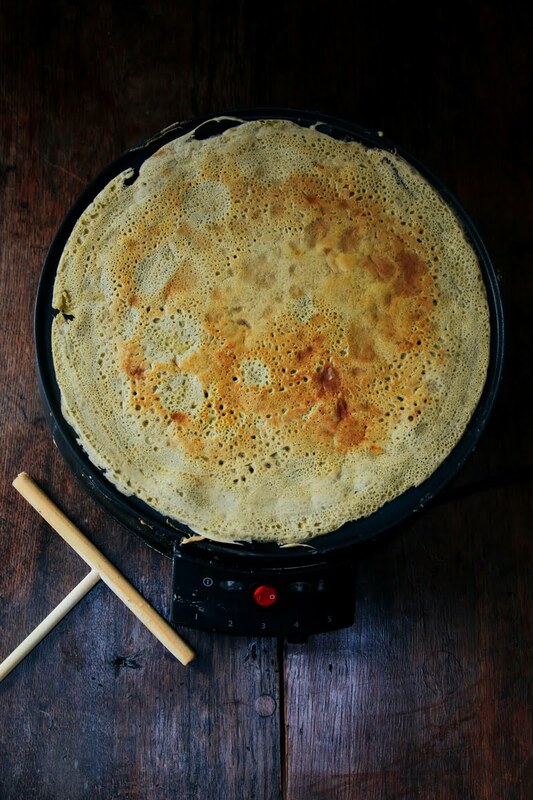 Meanwhile, heat up your crepe maker (heat setting 4) or a non-stick frying pan, brushed with a small amount of oil. Add a ladle-full of mixture and spread out, adding more mixture if needed to cover the base of the crepe maker or frying pan. Cook for approximately 4 minutes before gently flipping over and cooking the other side, until golden brown. Repeat with the rest of the mixture. Drizzle some olive oil in a pan and cook the sliced mushrooms on medium heat for a few minutes until lightly browned and softened. Add the spinach and stir well to allow it to cook down. Add a few dollops of the vegan cheese sauce and stir everything together. Add a drop of water if it's too thick. Allow to simmer for a couple of minutes to heat through. 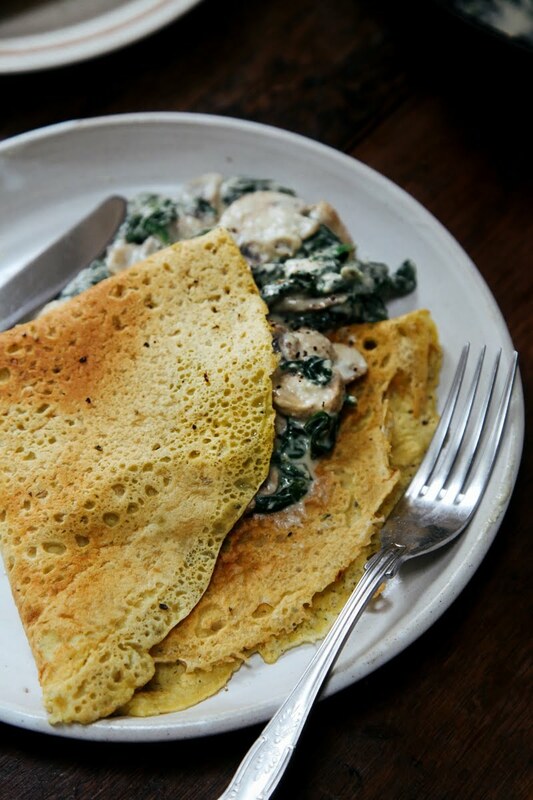 Serve the chickpea crepes folded, stuffed with a dollop of the creamy mushroom filling. Enjoy! *Gram flour, also known as chickpea flour, besan flour or garbanzo flour is simply ground dried chickpeas and can be found in most supermarkets (check the world food aisle), asian food shops or online. To be in with a chance of winning a Breville crepe maker, provided by Debenhams, enter via the widget below. If no widget appears, please use this link (but don’t share this link elsewhere). Closes 17/3/2017. Open to UK only. Full T&Cs in the widget. Win a Breville Crepe Maker from Debenhams! These were delicious! Great change up for breakfast. 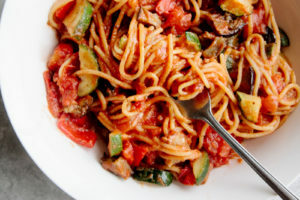 I added some sun dried tomatoes inside and flavor was great. Thanks! 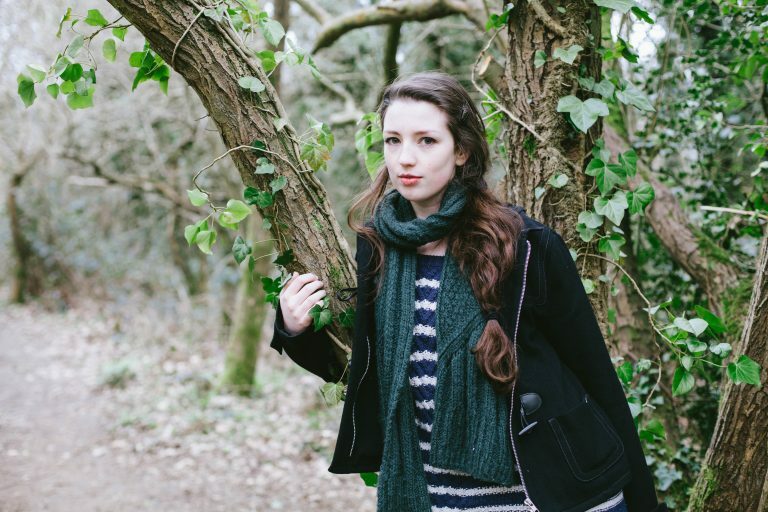 So pleased you like it, thank you! I tried making these today. I usually make non-vegan crepes and they turn out well. I wanted to make these for my mom who is fasting, which essentially entails a vegan diet. However, I could not get these to turn out. The proportions listed ( I used a kitchen scale to weight my ingredients) resulted in a dough so thick I could not run it around the pan. I added water to make it more runny. The dough was quite lumpy despite having been mixed well. When I made it thin enough to be a crepe, it had to be cooked well before attempting to flip (like "regular" crepes make with four). However, these chickpea crepes were almost impossible to keep from breaking. The result was pieces of a thin "pancake" that, while tasty, could not be called a crepe. I tried two different pan sizes and various thicknesses of crepe with only worsening results. Its too bad, I was looking forward to a nice surprise for my mom. I"ll try to make vegan crepes with wheat flour now and hopefully that will work better. If the batter was lumpy, it was NOT mixed well. These turn out well if the batter is mixed well and you do not make huge crepes. I'm in the US. What are "mixed herbs"? 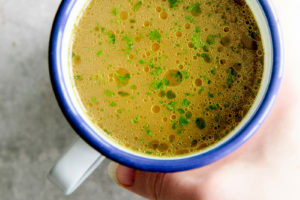 My husband refuses to eat mushrooms (eye roll), could you recommend a substitute? Haha! Anything you like, you can just leave them out or add in any veggies you choose. I was comparing recipes and came upon your question. 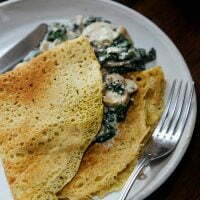 Note, I have not tried the recipe, but have made savoury crepes in the past and consider myself a pretty good cook. Here's a suggestion in answer to your question: Any veggie that you like in a stir-fry or an omelette. I try to keep it to 2-3 types. ie. Spinach & Peppers with fresh garlic; broccoli, cheese w/ garlic; Cherry Tomatoes, Spinach & Feta w/garlic; Asparagus & Peppers w/garlic. (Yes! I like garlic) The list is endless. Be adventurous! Oooh I may have to have crepes for my tea! 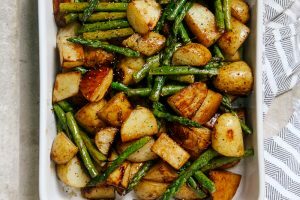 These look delicious, I made something similar this week but crammed some spring greens in as well! I love this recipe, Aimee! Always looking for new savory breakfast ideas. Can't wait to try it. It's under step 2 "rest of the ingredients" - sorry if it wasn't clear. Will re-word it later! I don't think I've ever made a savoury pancake for Fat Tuesday! Isn't that a shame? You've totally convinced me that I have to this year <3 because these look delish, Aimee. Spinach and mushrooms are a match made in heaven. I love these Aimee:)! The creamy spinach mushroom combo would be my fav savory filling too! 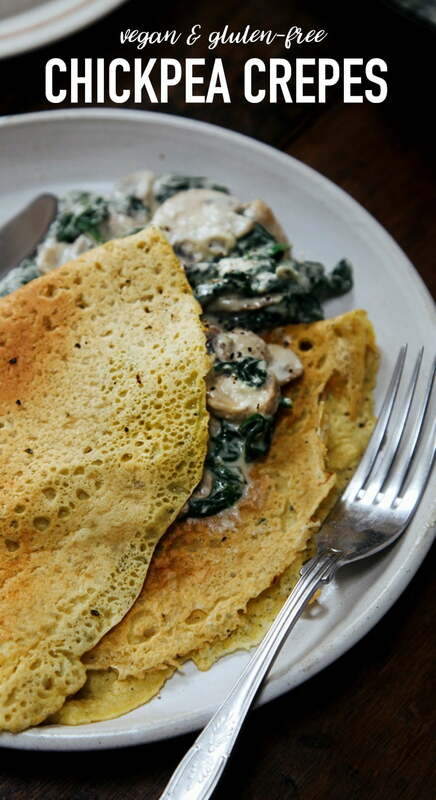 the Mushroom and Spinach crepes are fantastic. Many thanks for this delicious recipe. They are so wonderfully delicate and perfectly golden brown, you even have me craving a savory breakfast now! And mushrooms + spinach is always my go-to in scrambles and things, usually with nutritional yeast too, so we definitely agree on the deliciousness of that combo :) Yum!